The color is close to brick red I should say. What super cool boots! 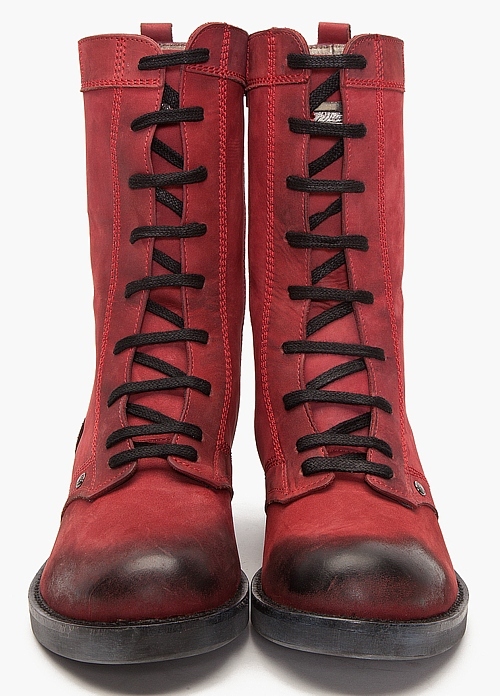 Bruised marks & scuffs… on toasty red suede leather and laced up with a long black tie … sounds yummy right? With wonderfully distressed appeal plus the warm red hue, make your style-o-meter go way up! Get them here.